Earlier I posted some questions for next year: Ten Economic Questions for 2012. 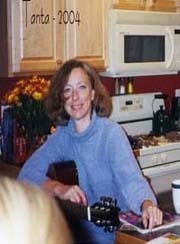 I'm trying to add some thoughts, and a few predictions for each question. 5) Employment: The U.S. economy added 1.64 million total non-farm jobs or just 137 thousand per month in 2011. 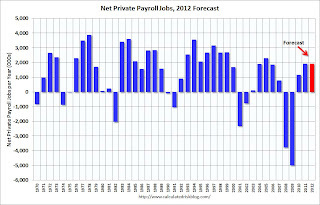 There were 1.92 million private sector jobs added in 2011, or about 160 thousand per month. Although this was an improvement from 2010, this was still weak payroll growth for a recovery. 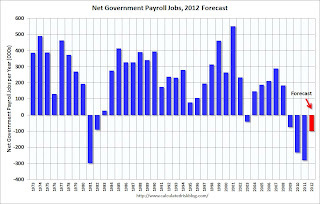 How many payroll jobs will be added in 2012? First a little "good" news. It appears that most of the state and local government job cuts will be over by mid year 2012. Just eliminating the employment drag from these job cuts will help. 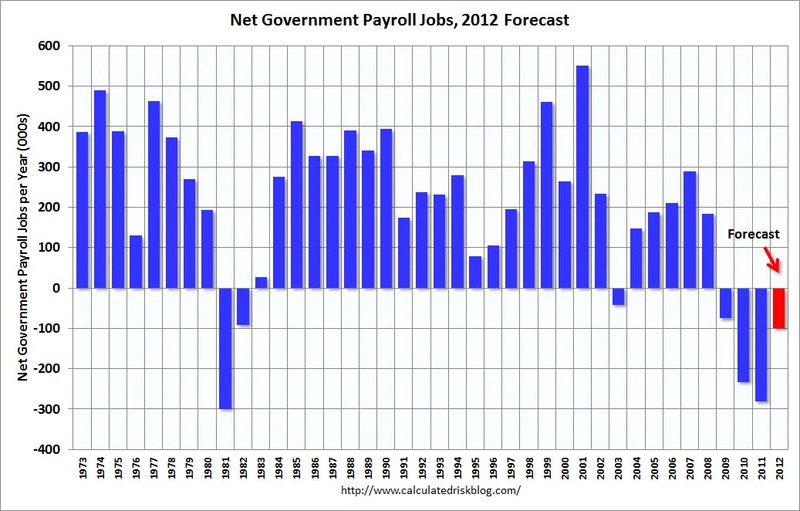 Here is a graph of the annual change in government payrolls since 1970. Over the last 3 year government employment has decreased significantly (this is a combination of Federal, State and local government). It appears job cuts will slow in the first half of 2012, and government employment might be neutral in the 2nd half of this year. For 2011, the BLS reported 280 thousand government jobs lost, and my guess is this will slow to around 100 thousand in 2012 and most of the jobs lost will be in the first half of the year. As predicted a year ago, construction employment increased in 2011. Although the increase was small - just 46 thousand jobs - this was the first increase for construction employment since 2006, and the first increase for residential construction employment since 2005. I expect construction employment to increase at a faster rate in 2012 - not a boom - but better than in 2011. Unfortunately employment growth will probably slow in some other sectors. As an example, although auto sales will probably continue to increase in 2012, the rate of increase will slow since most of the recovery in auto sales has already happened. This suggests that private job creation will probably be about the same in 2012 as in 2011, even with some pickup in construction. 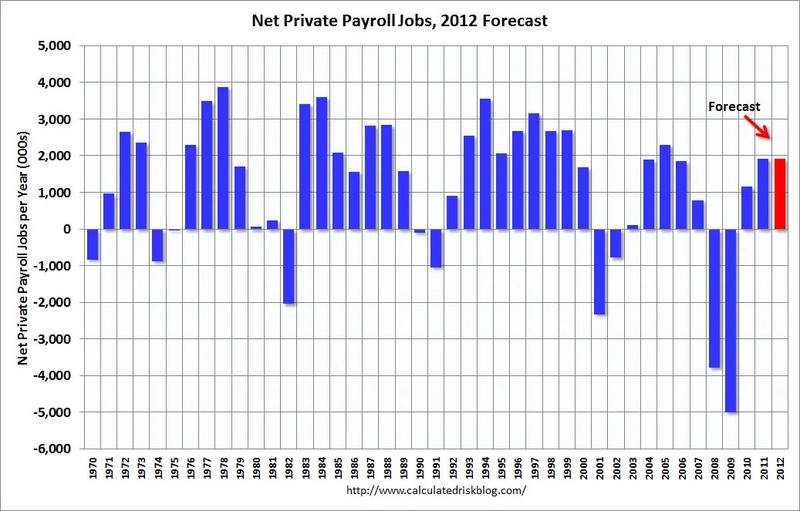 Here is a graph of the annual change in private payrolls since 1970. Last year was disappointing given the high level of unemployment, but it was still the 2nd best year for private job creation since the 1990s. My guess is private employment will increase around 150 to 200 thousand per month on average in 2012; about the same rate as in 2011. With over 13 million unemployed workers - and 5.6 million unemployed for more than 26 weeks - adding 2 million private sector jobs will not seem like much of job recovery for many Americans. Hopefully I'm too pessimistic.